We have succeeded in raising funds as a result of the charity activities in Japan and England. It has already been passed on to 'Kibouno hana Iwate' in Japan. We are also working on seeds contribution by Great Dixter to some areas in Tohoku.... It will be updated in Facebook and Website soon. We deeply appreciate for all of your warm-hearted support. 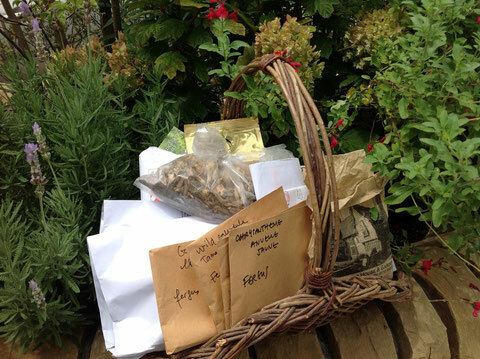 We received plenty flower seeds from Great Dixter, a head gardener Fergus Garrett. Words can't describe how thankful I am.